Is it me or did February pass by in the blink of an eye? In last week’s poll the majority voted for Green Book to win Best Picture and it did! Awesome job! The bulletin article that most impacted you was Prostitution & Violence: Human Trafficking Today. Let’s get more awareness out there! This weekend, don’t forget to pick up a Baby Bottle from First Way Pregnancy Center who will be in the Courtyard after all the masses. Your contributions help pregnant mothers with care and supplies! Reminder, if you have palms, please drop them off in the baskets in the Church vestibules. Burning of the Palms will happen after the 5pm Mass on Sunday. Ash Wednesday is this Wednesday (as well as my daughter’s 9th birthday 😉 )! Mass times are: 7am, 8:30am, 12:15pm, 5:30pm. Theology Day which is next Friday! Check out the website for more information and to sign up to this free event. The Knights’ Fish Fry is also starting on the 8th at 4pm in the Social Hall. I’m looking forward to some fried goodness! We will be having Stations of the Cross each Friday during Lent at 7pm in the Church. Soup Supper starts up on Monday the 11th at 5:30pm in the Social Hall. Donations will benefit the all-important Prison Ministry. Also, bring a canned soup or meat to stock the St. Vincent de Paul shelves! 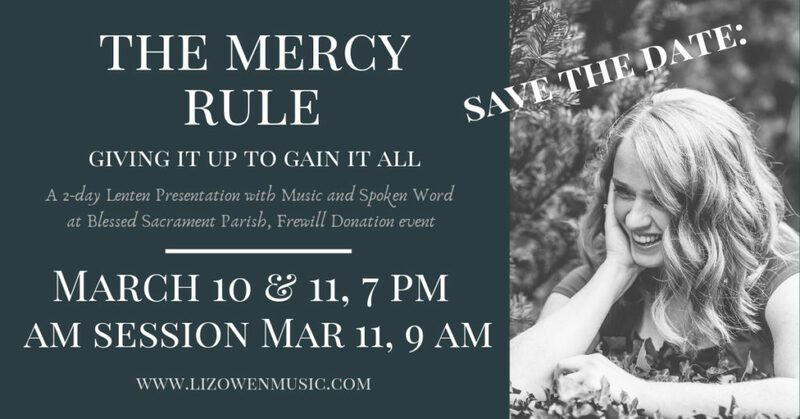 Our Lenten Mission will be next week on March 10th & 11th. Click on the banner below and check out the bulletin this weekend for more information on this reflective journey. The Snowbird Social is on March 16th! Don’t miss out on a swinging good time after the 4pm Mass in the Social Hall. 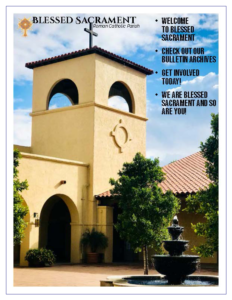 In this weekend’s bulletin, check out the articles on the Lenten Mission and Ash Wednesday to get ready for a beautiful lenten season. Congratulations to the Senior Friendship Club who turned 33 years-old this week! And as an added bonus, don’t miss the Musings of the Parish Office humor column about a particular copier with a sense of sarcasm. Don’t forget the Fat Friday Potluck tonight at 6pm in the Social Hall. If you didn’t RSVP, that’s okay, the more the merrier!